*Does not include price of canvas or shipping. Here's a couple of popular packages that are reduced for this sale! Unlike other sales, this covers all add-on products not listed, except for the startup fee. Check out the shop for more options. An affordable, digital only file. Pets only. Orders completed within a week! 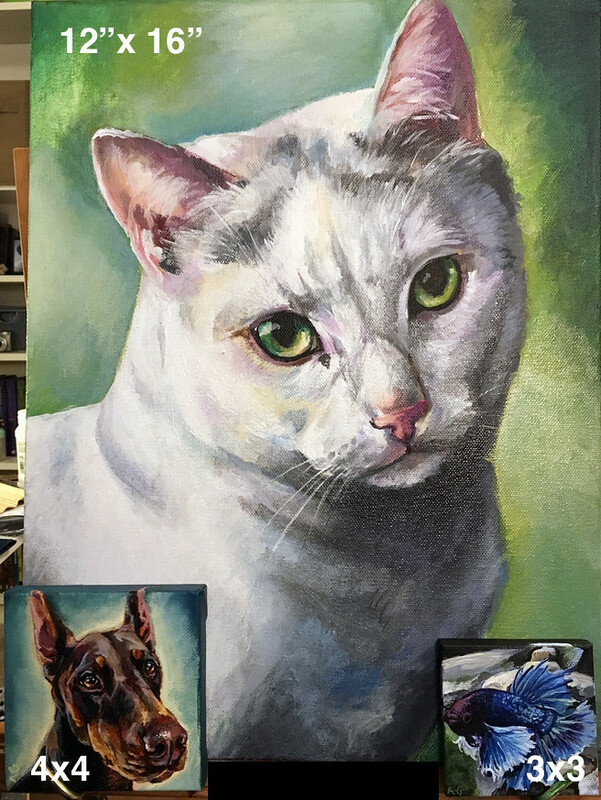 Two pets featured in this portrait! Full body for +$25 more. Comes in 12"x18" or 20"x"30"
For more information about my commissions, please read my pages on How to Order and Sample Pricing. Bear in mind that all of the listed add-on prices on the website will be reduced 50% off with the coupon, so contact me before ordering so I can give you a price estimate specific to your needs. Notice: 50% off does not include price of canvas or shipping, and shipping costs may vary due to your location or how quickly you need to receive your order. For more information about how your canvas is shipped, take a look at my page about canvases and shipping. 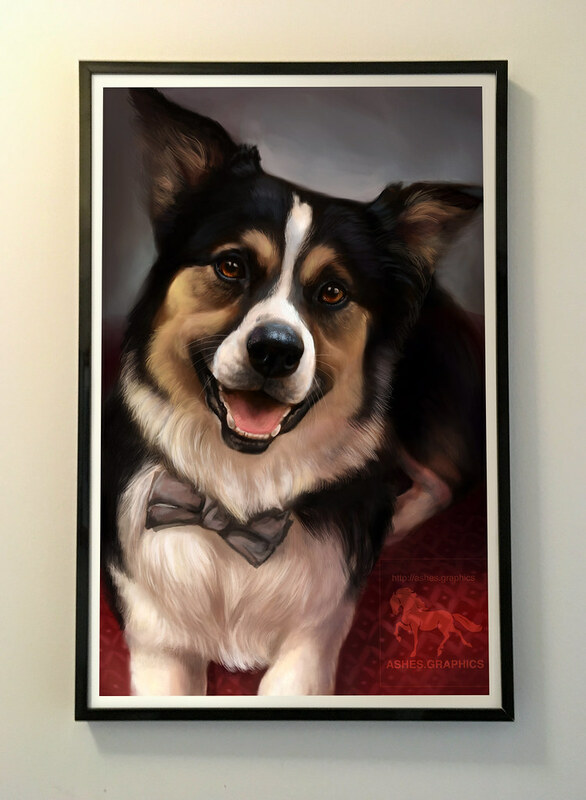 Each portrait or full body commission can be customised to make it exactly the way you'd like it to be! This makes your commissioned work one of a kind, and makes for a perfect gift. 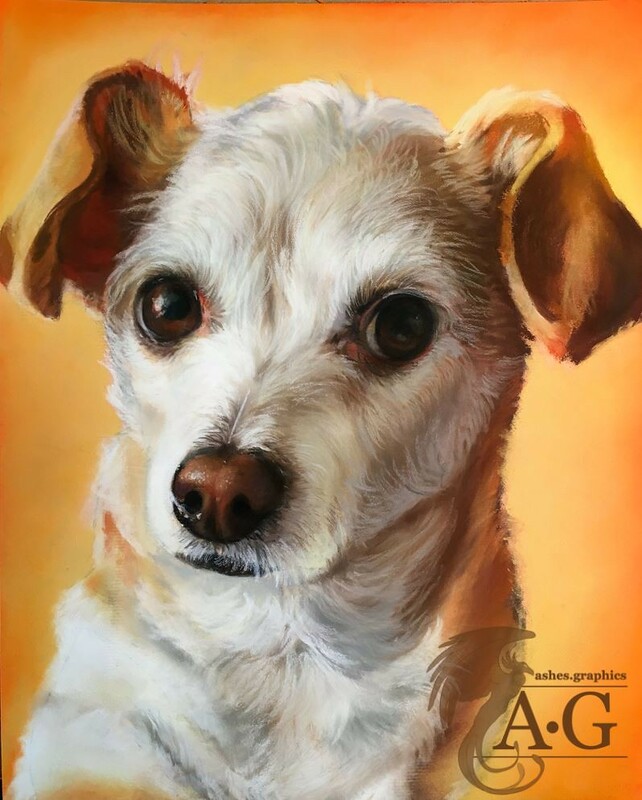 If you don't know how to order a portrait from me, stop by my How To Order page for more information on what you get and what to expect from me. Afterward, feel free to browse all available add-ons I offer or take a look at the portrait section of my shop. Email me at ashes@ashes.graphics if you'd like to commission me or if you have any questions!